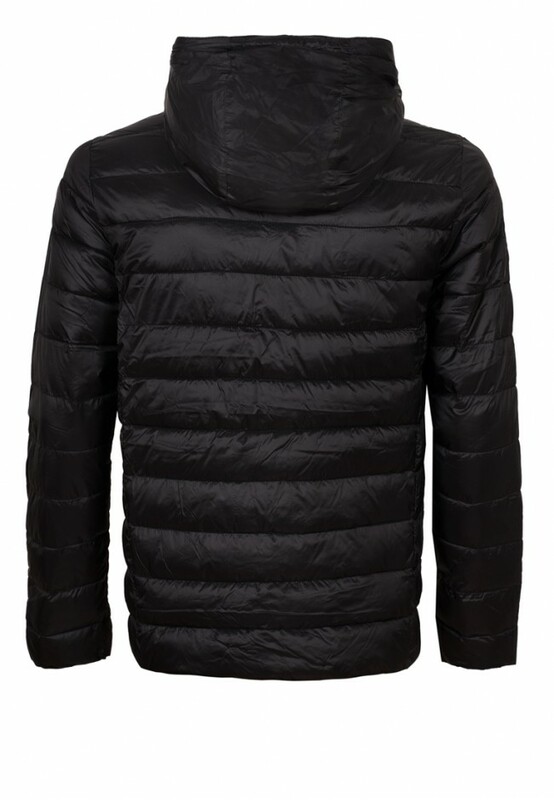 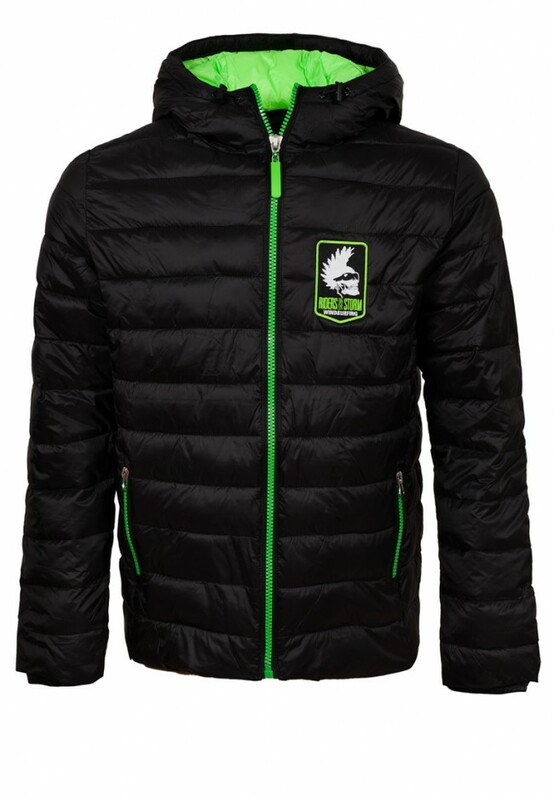 Lightweight and warming padded jacket with front zipped pockets and an adjustable hood. 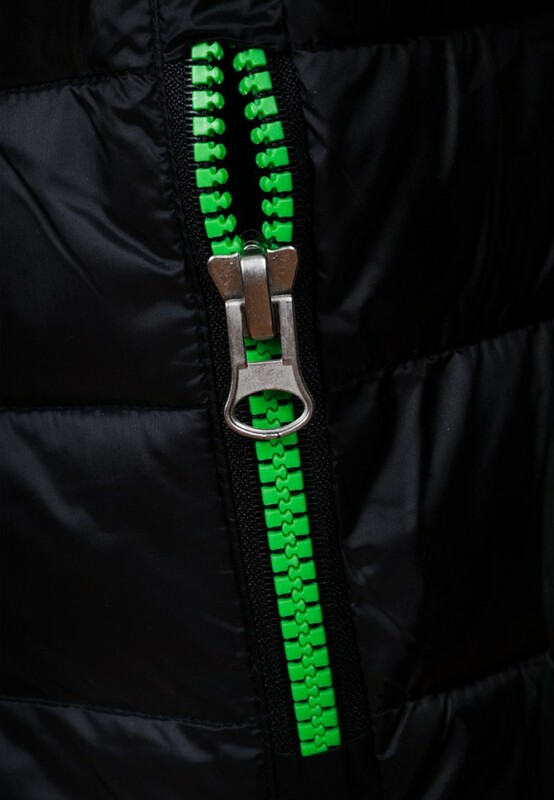 It has a colour-coordinated contrastive lining and zips. 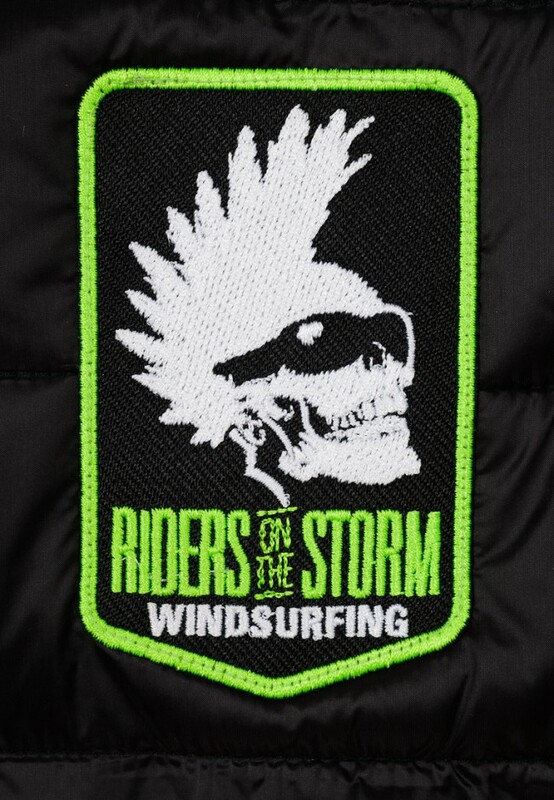 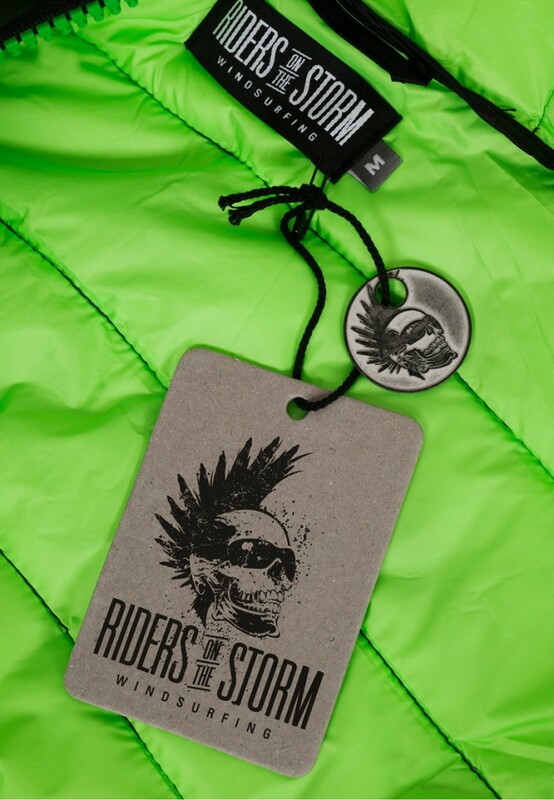 Our Riders On The Storm-Patch is placed at the left chest in front. Due to the fitting, the jacket in size S is also suitable for girls. 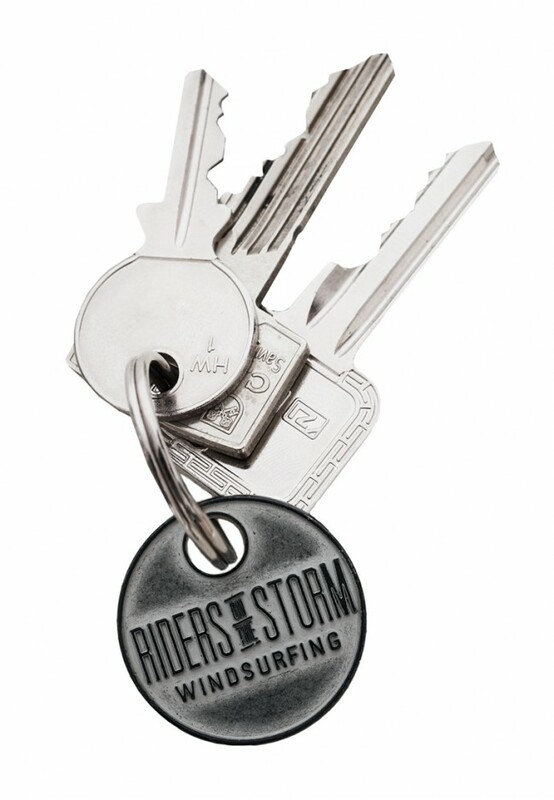 Additionally to your jacket, you will receive our cool vintage appealing full metal coin for your bunch of keys.